We’re claiming 2014 to be a year of joy. 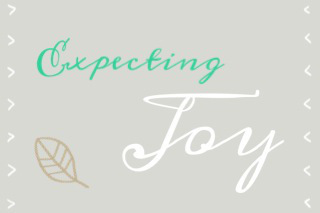 As the days wear on — especially through the winter months — joy isn’t something we want to just hope, pray or dream for. We’re learning to expect it! 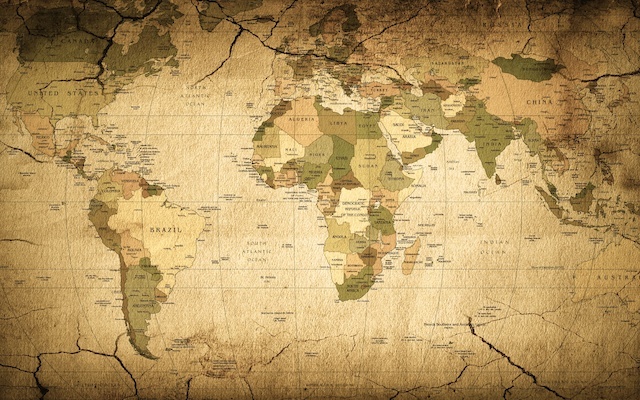 As we prepare to become foreign missionaries in the very near future (click here for more on that) we're changing the way we think. It’s a journey we’re on together, and every day holds something new. 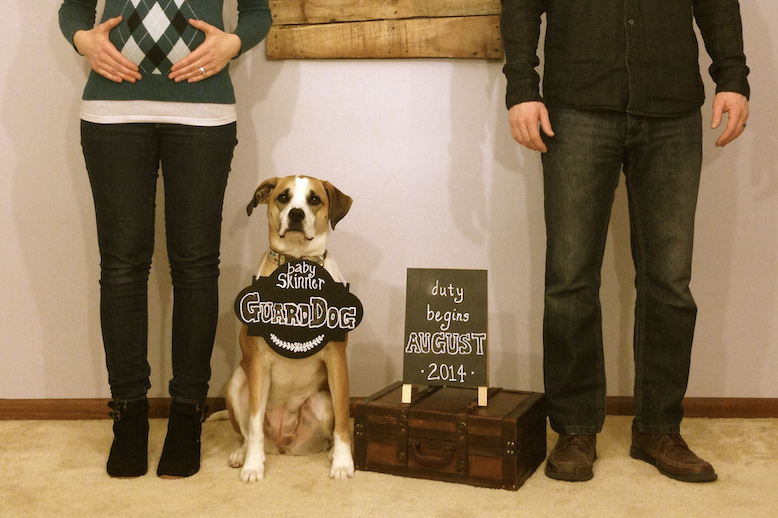 And speaking of something new...we’re expecting our firstborn child to arrive in August! But can I be perfectly honest? Sometimes it's hard to just feel "joy". As a nurse, I've seen and experienced too much to bask in that blissful ignorance of anticipation that I see in so many expecting parents. It's easier to let fear win. It can be hard for me to plan for 5 months down the road when I don't know what might happen tomorrow. But I'm taking one day at a time, and training my heart to focus on Joy. Our due date is August 25th so we'll be sure to keep you posted along the way. So don't forget follow our blog for updates! As you know by now, things are changing for us around here! 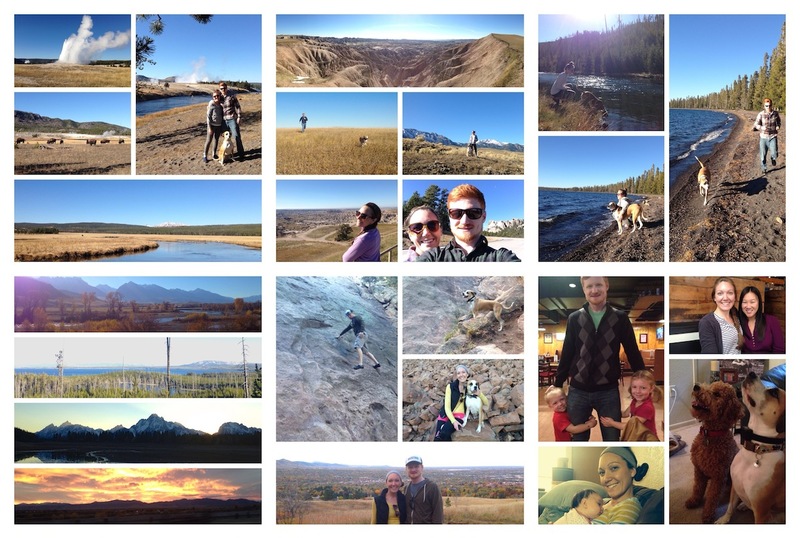 We decided to take advantage of the change in our schedules to get away for a little while. 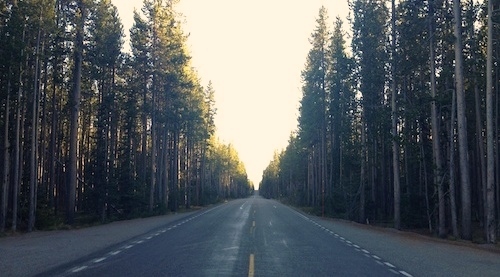 One of our passions is traveling – and who doesn’t love a good road trip?? We loaded up the car and headed west, with some vague plans along our route and every intention of enjoying the open road! Wow! What an incredible, crazy, stressful, fast and fulfilling year it has been! Through all the hard work and ups and downs, we've made it through our first year on staff at Focus One. There's nothing like seeing the life-change that this program produces in these students, who gave a year of their lives to the Lord. It truly makes it all worth it. Even though this has been such an incredible year and we've already put a lot of work into welcoming the next class of students to Focus One, it turns out that God is changing our plans once again. Don't worry, Focus One is still happening and it will be another great year! But through different circumstances and through the Lord's leading, I will no longer be working with Focus One this year. While I am so sad to leave such an amazing team, what's so exciting about this is that Tina and I have finally felt the release to pursue our life-long dreams of becoming foreign missionaries! We knew from the beginning that our time at Focus One was limited (just not how long) and that this was the next step for us. There's really no way that we could have put enough time and energy into pursuing this goal being so involved in a program like Focus One. And once again we come back to this: When God calls we answer. No matter how crazy it sounds or how hard it may seem, we know the Lord will provide for us and will equip us for what He's called us to. At this point we don't know where the Lord is calling us, but we are going to start that process. The time has come to send in our applications and begin to seek out the Lord's plans. If you can, please remember us in your prayers. And don't forget to subscribe to our blog and check back for updates on what the Lord is doing. One of my favorite things about Focus One is that each student is required to take a missions trip during his/her year of Focus. I’ve had the privilege of traveling to Swaziland, Macedonia, Denmark and Vietnam as a part of this program. 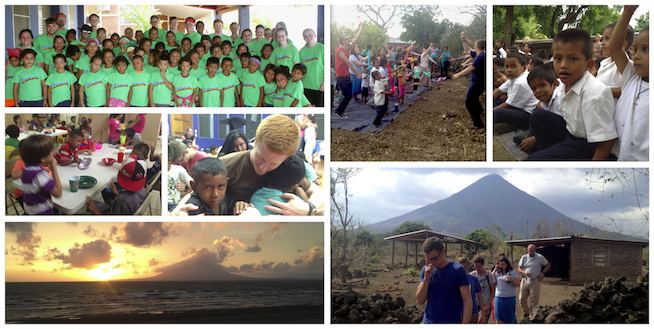 This year I got to lead the team to Nicaragua! We travelled to Managua to work with Ken and Kendra Doutt. They run feeding centers for kids all over the country. Nicaragua has one of the highest poverty rates in the world and 30% of the population is under 15 years of age. So many of these kids grow up scrounging through trash in the nation’s dumps, looking for food or scraps they can sell. The Doutt’s are working to provide food and clothing to these kids, and each year they run camps throughout the summer. With our help, over 40 kids were able to attend camp this week, where they received full meals, lots of love and a Christ centered education. You can find out more about what the Doutt’s are doing here: compelledbycompassion.org. I think the biggest moment for me was the second night of camp when we prayed for the kids. I prayed for these two kids that I connected with from the get go, Winston and Ariel. Ariel started crying right away, but Winston was hard from having been to camp before and from his past. I was just praying over them that they would find strength in God's grace, that they would be a light to their nation and that they would have a voice in their generation. Finally at the end I was hugging both of them, but Winston was curled up in my arms and started crying. I never knew the power of a hug until that moment. It was powerful. Winston was my dude and even thanked me by name in front of the whole camp. After camp we travelled to Ometepe Island, the volcano island we could see from camp. We only spent one night there but it seemed like a week. We did a few school assemblies and some door to door ministry. The best moment for me was when I got to speak to a lady at her home. She said they had needs but that they were happy. I felt I should tell her that The Lord is pleased with her joy and that He would bless her because of it. She said they needed this house to be complete. They were sitting by a framed building with a roof on it and a pile of bricks on the ground. They didn't have money to pay anyone to build it. So we prayed that the Lord would help them build the house before the rainy season. We didn’t get to see the fruit, but we trust the Lord to provide. I started getting sick the second day of camp. :/ From then on out every day was a struggle. It was frustrating because that never happens to me. I’m always the one with the iron stomach that never has issues in other countries. But I believe the Lord was using this as an opportunity for me to rely on him in a new way. And I definitely had to do that as the team leader. Even through the ups and downs, it was an incredible trip! I love missions trips because they really put life into perspective. Not only that, but I know that this is my ultimate calling in life. So it definitely whets my appetite for where the Lord is ultimately leading us. Taka: "Hey dude, we don't have room in the truck for all the donations, so we decided to rent a trailer and tow it behind the Focus One excursion. Think you can clear your schedule for the next couple of days and drive it to NYC?" Jeremy: (thinking: YES!!) "Um, let me check really quick and get back to you." Jeremy: "Hey man, yea I'm in. When do we leave?" Taka: "5:00 pm. Get here asap!" So I hopped in the Focus One excursion and we took a 26' truck and a U-Haul trailer full of supplies all the way to Rockaway Blvd. on Long Island. I'd never been to NY so it was exciting, but we arrived as the sun was going down and we left before it came up. We didn't see much of the city and I didn't get on TV. We didn't even get to hand out any of the supplies to the people. 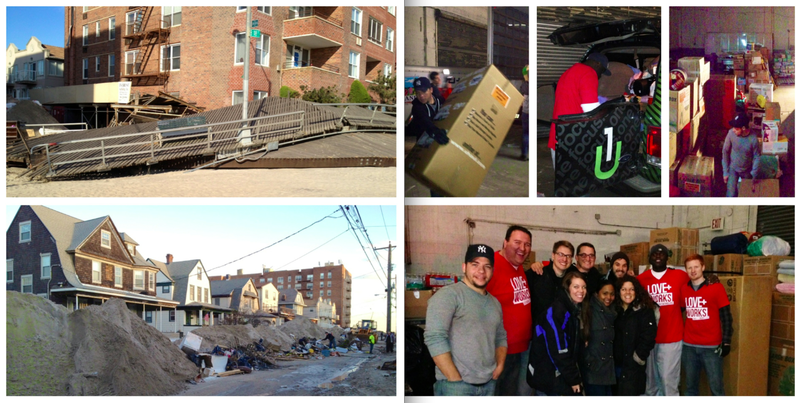 We didn't get the thank you's and we didn't see any of the devastation that was the reason we came. But it made a difference. Pastor Jer recently said, "Do for one what you wish you could do for millions." That's what we did, and for that reason, it was awesome! Well, despite our fears and hesitations with returning to Rockford, it is clear that the Lord is at work. Even through issues with living arrangements and Tina’s job search, we’ve been able to reconnect with our church and so many friends from our days in Master’s Commission. We loved Tennessee, but really our biggest problem there was finding a church where we felt at home. It’s so refreshing to be part of a community of believers that we know and love. It’s also been great to work with Focus One, formerly Rockford Master’s Commission. So many memories of God moments, life-changing experiences, and lessons learned are flooding back. It is truly a joy to be able to pass those on to the next generation. Not only that, but to be a part of such an amazing staff is such a blessing. They are my family. I can’t wait to see what the Lord has in store for us in the coming weeks, months and years. 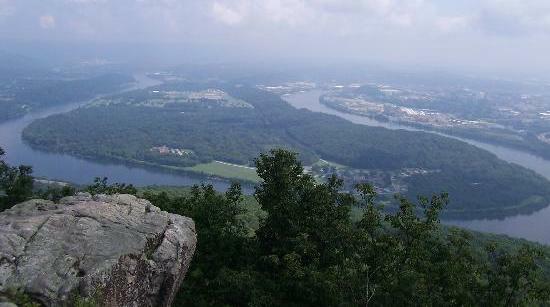 I was sitting on the edge of a cliff overlooking the rolling hills and forests south of downtown Chattanooga. The wind was incredible, the hawks floating in mid-air seeking their prey, overcast skies, and all the cares in the world on my shoulders. A few weeks prior, I had received a call from a great friend and mentor of mine, Taka Iguchi, offering me a job back in Rockford, Illinois at what is now called Focus One — formerly Rockford Masters Commission. I knew the last place in the world I wanted to return to was Rockford. I remember hanging up the phone after that brief conversation thinking, “Lord, I will not, I repeat, not, go back to Rockford unless you make it abundantly clear that that is where we are supposed to be. Tina and I knew that our ultimate goal was to be on the mission field so we decided to start looking for opportunities to see if God was stirring our hearts to make a move through that phone call. Long story short, the missions options weren’t working out, I was leaning toward going to Rockford, but I still needed some clarity before I could commit. The last thing I ever want to do is go anywhere God isn’t with me. Thinking back, I recall having dreams about being back in Rockford, and it turns out that the Lord has been preparing us for this all along. So here we go…we’ll keep you posted on what the Lord is doing. Tina and I just moved back to Rockford to work with Focus.One and we are so pumped to meet everyone and get started working with such amazing people. Updates to come!